How Well Does Artificial Intelligence Create RAW from JPEG? 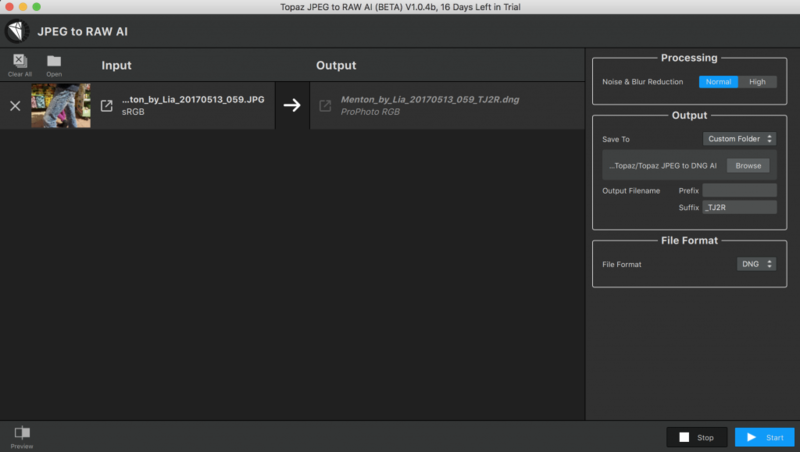 Topaz just released an intriguing new product called JPEG to RAW A.I. As the name implies it’s designed to convert JPEG files to raw (DNG) files. RAW files contain a lot more information than their JPEG counterparts, allowing them much more versatility. They have an expanded tonal range so there is more shadow and highlight detail and they have a wider color gamut allowing smoother transitions of colors and broader capabilities to change them during processing. Raw files also retain more sharpness and detail. Until now if you only had a JPEG you were stuck with limited tonal range, color and sharpness. Topaz allows you to try it for 30 days. If you find it useful and decide to buy it you can save 15% using the code JWOLFSON at checkout. I can’t explain it but it seems to work, at least on the images I’ve tried so far. Somehow the artificial intelligence looks at what’s there and expands upon it. I’ve only tried a handful of images thus far but the resulting DNG image from a given JPEG has more acutance (sharpness) and more detail in the highlights and shadows. Also color transitions are smoother, especially with big adjustments to color such as luminance or saturation. I did this review with a pre-release version but I’m still fairly impressed. You can’t beat an orignial raw capture but this gives you some of the benefits of RAW when starting with only a JPEG. I wanted to give this software a challenge so I started with image you see above. I made sure I used an image that is properly focused and sharp but the lighting is, well, awful. I was shooting straight into the sun with no exposure compensation so my main subject is in deep shadow with the white upholstery a deep gray. After creating the RAW/DNG from the JPEG I gave both versions an equivalent exposure adjustment so that measured skin tone values on her face match between the JPEG and RAW images. I made no other adjustment besides lightening exposure. This is 100% view of the RAW file (DNG format) created from the JPEG. You can compare this to the JPEG from which it was created, below. I lightened them both about 1 ¾ stops. This way you can see the detail in what was a dark shadow. 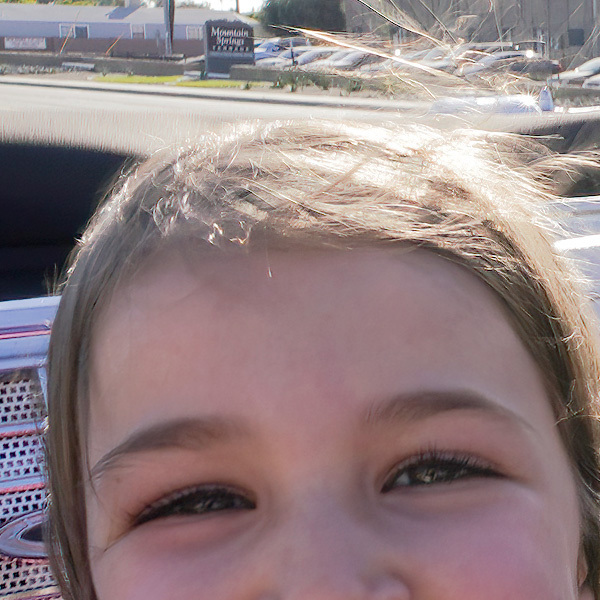 Compare her eyelashes and the metal grate behind her. Because of the backlight you can also compare the highlight detail in her hair. Also notice the detail in the cars and sign in the background relative to the starting JPEG file. This is the same 100% view of the JPEG from which I created the RAW file above using Topaz Labs JPEG to RAW A.I. Using JPEG to RAW A.I. is very straightforward (see screenshots below.) You simply drag and drop images to it or use the open command through the icon or pulldown menu. Because you can do batch processing it loads your images in rows. You can see a preview at 100 percent by clicking on the preview button on the lower left and a collapsible panel expands up from the bottom. Your processing options are just “Normal” and “High” noise and blur reduction. You can choose your destination folder along with adding prefixes and/or suffixes to the output filename. Format options include DNG and TIF/TIFF. For those unfamiliar with DNG it is the “universal” raw format akin, to say, a PDF for word processing documents. Most photo software handles DNG but if you prefer you can always use TIFF. The processing time varies with the original JPEG but as an example it took 2 minutes 50 seconds to process a 15 MP image on my 2017 iMac. It makes intensive use of your computer’s GPU (Graphics Processing Unit) Although you can run it in the background you may notice jerkiness and delays. If you’re going to run several photos with the batch capabilities it’s probably best to let it run while you’re on a break from using your computer. This is a compelling innovation from Topaz Labs. I’ve dreamed of a lot of products since I started as a full time photographer 30 years ago but must admit it never occurred to me that a company would figure out a way to make a RAW file from a JPEG. Even though I shoot most of my work in RAW, I have a lot of images that are JPEGs for various reasons. Based on what I’ve seen with this product so far, I’m anxious to try this with more of those JPEGs. Considering its capabilities and assuming you have a use for it, I think JPEG to RAW A.I. is reasonably priced at a hundred bucks (coupon code JWOLFSON will get you 15% off.) It seems to increase tonal range and color gamut. And it does a good job with detail. I compared it to simply changing the same JPEG to 16 bit and ProPhoto color space but you still don’t get the same smoothness of gradation when making big saturation or contrast changes. You also get a better level of detail using JPEG to RAW A.I. No, it’s not as good as an original raw capture but it does improve the image a lot. I look forward trying it on more images but so far it’s pretty impressive. Joel Wolfson is an internationally published photographer who loves teaching as much as shooting. 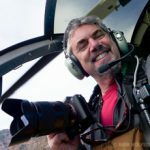 He shares his 30 years of experience as a working pro with other photographers and enthusiasts by way of his workshops, 1 on 1 training, webinars, articles, blog and speaking engagements. His technical articles have been translated for use in more than 30 countries yet he is best known for his artistic images of nature’s fleeting moments and unexpected views of everyday places around the globe. He is one of the pioneers of digital photography having conducted digital photography seminars for Apple and other corporations starting in the early 90s. His roster of notable clients includes numerous publications and fortune 500 companies. He currently works with great affiliates like Arizona Highways, Topaz Labs, ON1, and Skylum to have more avenues for working with those wanting to pursue their love of photography. His goal is to make learning and improving one’s photography easy, fun and rewarding. Than you for this review. I don’t know why but since studio exists, topaz creates lot of products without any advertisement or tuto. how do you see the workflow ? iphone import -> topaz AI JPG -> Lightroom -> photoshop-> topaz studio and back ??? 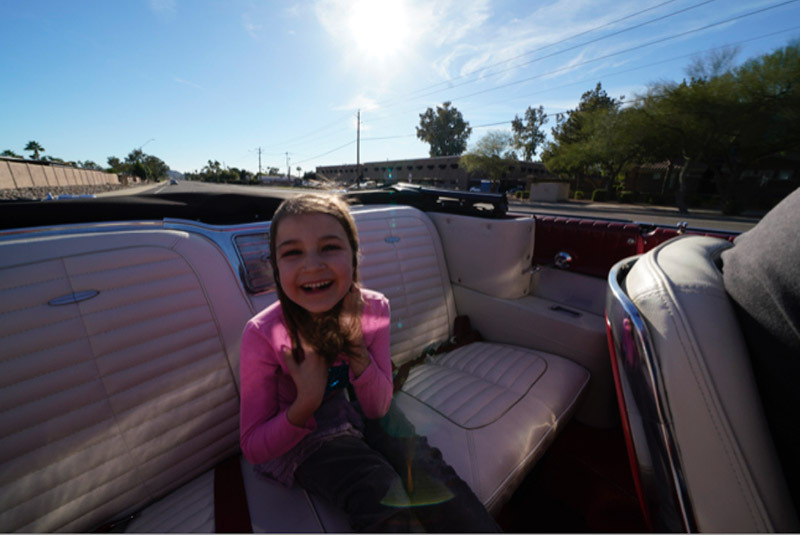 isn’t it better to directly shoot in raw from an iphone… with camera pro or lightroom camera ? Thanks for the comment. It does seem that Topaz is lower key than other companies with conventional promotion. They did do some direct e-mail promotion and I’m sure some tutorials are coming. I also hope to do a short video about it here soon. Regarding workflow: Excellent question and tough to answer because everyones workflow is different (and should be) based on their needs. If you’re talking iPhone and you use Lightroom then your workflow makes sense. Personally I rarely use Photoshop any more and for the time being mostly use LR as a database and for books, quick websites for clients, and slideshows. I use Studio for its best assets like A.I. Clear and artistic capabilities like Impression, Glow, ReStyle, Adjust, etc. which have no counterpart in other software. My main processing hub these days is ON1. I’ve had many requests to show how I use a multi-program workflow and will do that as soon as I can find the time. I will say that I haven’t seen much in the way of significant improvements using the iPhone in raw capture. Perhaps the ones you’re using are better than Halide which is the app I have. The iPhone sensor is so small and jpeg processing so good considering that sensor that I personally haven’t felt a big need to shoot raw. Whenever possible I use my ILC cameras. But like everyone else I always have my iPhone with me so sometimes that’s my camera. So it’s a good thing there are products like A.I. Gigapixel and JPEG to RAW A.I. Joel, Topaz does provide tutorials mainly through their webinars. I always watch yours as they are excellent. To the subject at hand, I am confused as to why I need to add JPEG to Raw AI in addition to Sharpen AI and AI Gigapixel, which also improve lower res JPEG files. All three seem to improve the quality of the original image. Is their redundancy? Also, I use On1 Raw as my DAM and main editor too and thus have dropped Lightroom and PS. Why do you still use Lightroom if you have On1 Raw as well? Thank you. I’m happy that you watch and like my Topaz webinars. You pose some excellent questions about these recent A.I. tools from Topaz. In my most recent webinar I tried to point out and demonstrate that I see the most useful aspects of Sharpen AI are for slightly blurry images that you might otherwise pass over or throw out because Sharpen AI can save some of them. That would be the the Focus and Stabilze processing modes. IMO the Sharpen mode is a bit redundant with A.I. Clear and the latter is much faster and a Pro Adjustment so you can make use of the batch processing in Studio. Other than this I don’t see Sharpen A.I. overlapping with anything else because it has very specific functions. Regarding JPEG to RAW AI and A.I. Gigapixel: These have different purposes but I suppose one could argue some overlap when starting with a JPEG but here is how I see their best uses. Scenario 1. Your only original file is a JPEG (no RAW available) and your main goal is to make the best possible image out of it, but not neccesarily for big enlargement. 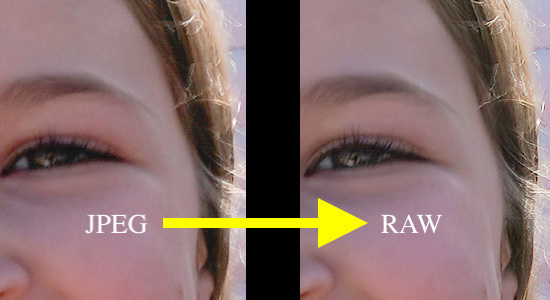 Then JPEG to RAW AI would be a good choice as you can get shadow and highlight detail you wouldn’t have from just a JPEG. Also color and tonal transitions will be better. Scenario 2. You have a small and low quality jpeg with which you want to create a large print or enlarge greatly for some purpose. A.I. Gigapixel does a great job of big enlargement from small files. This could also be a small portion of a larger file, even a raw one. Scenario 3. You have a high quality raw file and need to make a really big print. Again, A.I. Gigapixel for this can work well. I have used it this way, even when starting with a 42MP raw file when I need to have enough resolution for, say, a six foot (2 meter) print. I do use ON1 Photo Raw as a main processor. I also still do use LR for a few things (quick websites, books, slideshows). I haven’t fully converted the DAM aspect because I have 300K+ images and it will be very time consuming to do both the synchronization in LR and then the ON1 migration with that many images. Basically I’m just waiting for a good time to fit that in. I hope this helps clarify and answers your questions.